Big Boss Man wrote: I understand them wanting to make the max amount of money though. I'd feel better about it if the money was actually going to a charity that was going to help someone out. Goodwill is always saying thanks for supporting our mission. What the hell do they even do to help people. Goodwill is a retail store, it is almost the same as if you donated stuff to Wal-Mart and then they sell it on Ebay. I've seen commercials before from Goodwill about how you can donate a car to help somebody out. Then I was looking on Craigslist one day and saw an old Camaro in great shape being sold from Goodwill Auto Auction. Also you had to pay an entry fee to even get into the auction. Those cars aren't going to help anyone out, they are just selling the damn things. You seriously don’t think that the profits from the sales aren’t going to anything charitable? You seriously believe a non-profit like Goodwill functions the same as a publicly traded company like Wal-Mart? And you seriously believe that selling a car for charitable profit isn’t the same as ‘helping someone out’? Dude, I know your pissed about not getting that copy of Snatcher, but let’s not lose our heads here. Goodwill sells donated things and uses the proceeds for lots of training and community programs. Having a nice Camaro isn’t going to pay for job training programs for special needs people, but ‘selling the damn thing’ would. Someone donating a rare game and Goodwill selling it around market value is no different than if the person actually donated it’s value in cash. Goodwill may not be the most wholesome charity on the planet, but just because you haven’t seen or benefited from their charity doesn’t mean they don’t do charitable things. Haven't got anything real exciting lately. I picked up a WM-FS191 Sports Walkman for $1, they sell around $30. 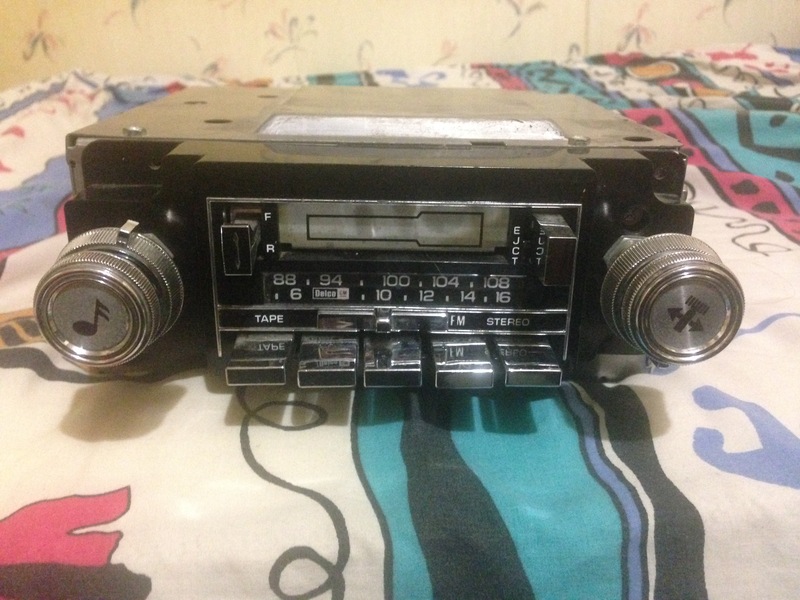 AM/FM works and the tape deck itself works fine but there seems to be a problem with the AM/FM/Tape switch. When I switch to tape it plays for about 1/2 a second then goes off. I'm able to get it to cut in and out by fiddling with the switch. Hopefully taking it apart and hitting the switch with some contact cleaner should fix it up. Also picked up a Canon Pixma Ip4000 printer. I'm always on the look out for those as they use the super cheap ink. It was $7 but I haven't tested it out yet. Looks like they average around $80 or so. Picked up a couple things yesterday here is one of them. 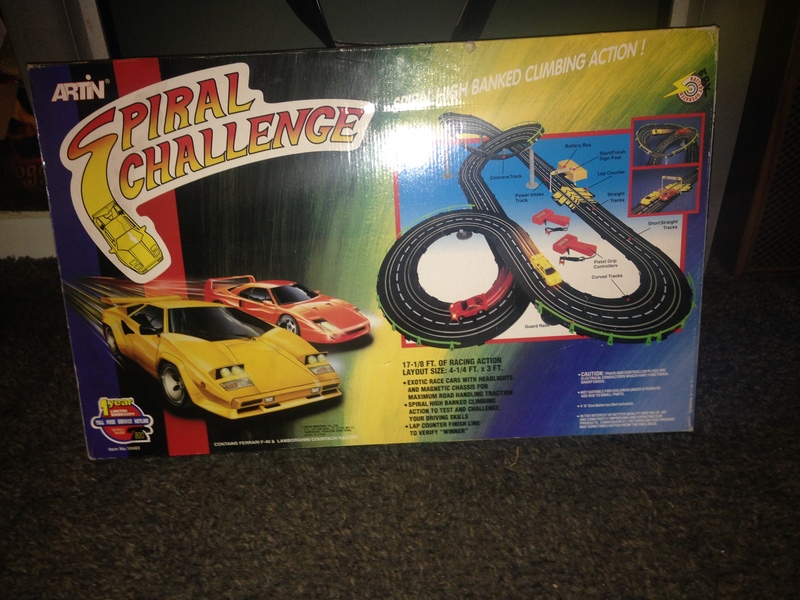 I really liked these race track sets when I was a kid so when I see them for sale I usually pick them up if they are cheap and in good condition. This particular one was $5.99 and is still brand new never been opened! I figure I can probably sell it for at least $20. The two cars included are a Ferrari F-40 and a Lamborghini Countach. The F-40 was made from 87-92 and the Countach from 74-1990. So I would guess this set is from somewhere around 1990-1993. Sell it for $20? My dude, you have not went shopping for slot cars lately, have you? I went to buy my son a slot car track for Christmas last year and had to drop $60 on a used Nyco Turbo Hopper track that wasn’t even guaranteed to have all the pieces. I would have killed to find a set like you got for $20, let alone the $6 you paid. melancholy wrote: Sell it for $20? My dude, you have not went shopping for slot cars lately, have you? I went to buy my son a slot car track for Christmas last year and had to drop $60 on a used Nyco Turbo Hopper track that wasn’t even guaranteed to have all the pieces. I would have killed to find a set like you got for $20, let alone the $6 you paid. Really? No it has been quite awhile since I've looked at slot car prices. Last one I had was when I was a kid. I think it was around $50 but it was a big track with double loops. How much would you think it is worth? I couldn't find this exact set anywhere on the internet so I put it up on Ebay with a starting bid of $50 thinking that was too high but it wouldn't hurt to try. LOL, I was about to post an Ebay link but it turns out it was your sale. $50 almost seems too cheap, but with your shipping cost it works out to be about right. You would probably get more if you waited until November to post it as it would make a great Christmas set since it’s sealed. Hell, if it would have been up last year it probably would have been me buying it. melancholy wrote: LOL, I was about to post an Ebay link but it turns out it was your sale. $50 almost seems too cheap, but with your shipping cost it works out to be about right. You would probably get more if you waited until November to post it as it would make a great Christmas set since it’s sealed. Hell, if it would have been up last year it probably would have been me buying it. I usually list almost everything as a buy it now, but since I couldn't find another one of these and don't really know the true value I figure I'd make it an actual auction, who knows maybe it'll get bid up fairly high. You are probably right about waiting until closer to Christmas. Maybe a collector might want it since it is probably close to 30 years old and still sealed. Heck it could be the only one of that model on the entire planet that is sealed! Then again keeping something like this sealed is really a waste. It is a toy to be played with and enjoyed, not sat in a box. I actually have another slot car set out in my barn. I don't remember what I paid for it, probably around $5. It is just an oval track but it all works good. Maybe I'll have to look into selling that. Sell slot cars before Christmas, buy a couple of months after Christmas. My slot car empire was funded simply by doing that. Picked up a couple things the other day. An old factory radio from a GM vehicle. I think it is late 70s early 80s. Doesn't have the wiring harness with it so I can't test it. But there was one that sold on ebay for $89 that was untested. I only paid $5 for it, so I should get a decent profit from it. This I'm not 100 percent sure what it does. It is some sort of steaming device I think. It was still in the original box when I bought it. It seems to be something called a Lingyun Q3. It was only $3.99. Almost all the information about online is in Japanese and as you can see in the above picture, when I hooked it to the TV the entire device is in Japanese. I'm not sure how it ended up in a southeastern Indiana goodwill. Sure somebody around here could have ordered it online, but why? There seems to be little information about what it even does and it is entirely in Japanese no english so what use would it be? It is missing the remote so I can't do much with it. I looked on ebay and a replacement remote can be bought for less than $3 shipped. Does anyone here have any info on it? Made a few sales this week. 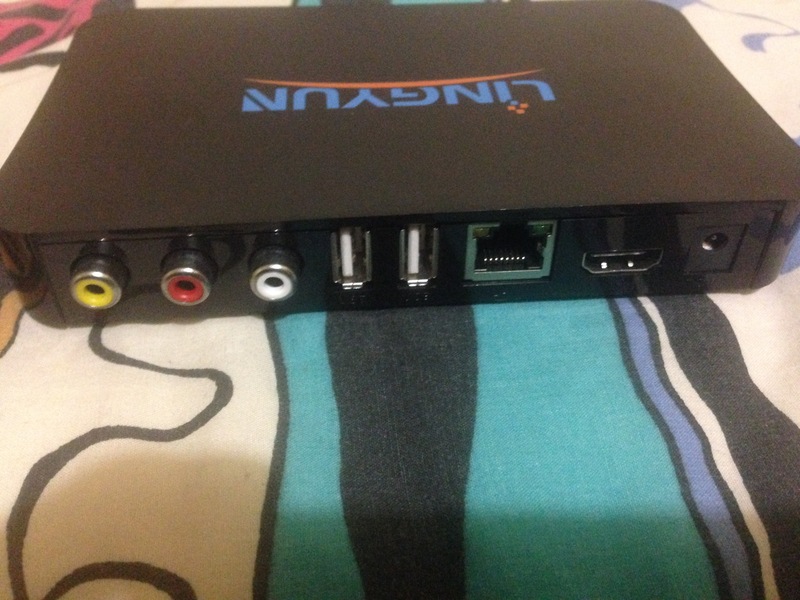 Sold the Hauppage 1212 PVR for $50 with free shipping. Of course the guy lived in California so it cost $17 to send. After fees and shipping I got about $26 profit. Eh I could have gotten more but I only paid a few bucks for it. A much better sale is the old car stereo I post about a few posts ago. I bought it for $4.99 and it just sold for $100 + $11.95 shipping. After fees I got $98.60. The buyer is only a few states away so it will probably be about $10 for shipping. So I'll end up with around $85 or so, an $80 profit. Not too bad at all. I found the same listing while looking into it. I still really have no idea what it does though. I went ahead and put it up on Ebay but I didn't even really know what to put. 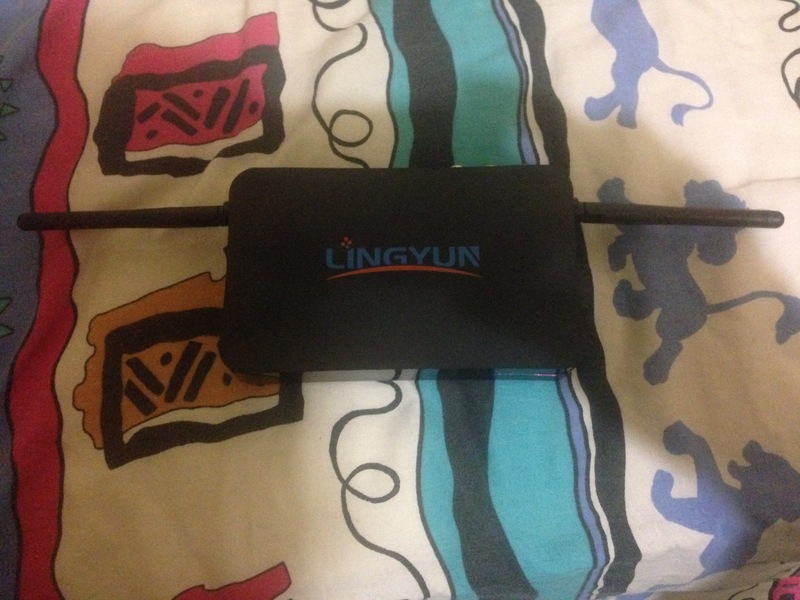 Basically just Lingyun Q3 HD network set-top box, powers on. No remote included. lol I have no idea how such a device ended up at a thrift store in Indiana. If it doesn't sell I may just buy a remote for it and try to mess around with it. A replacement remote can be had for less than $3 shipped. 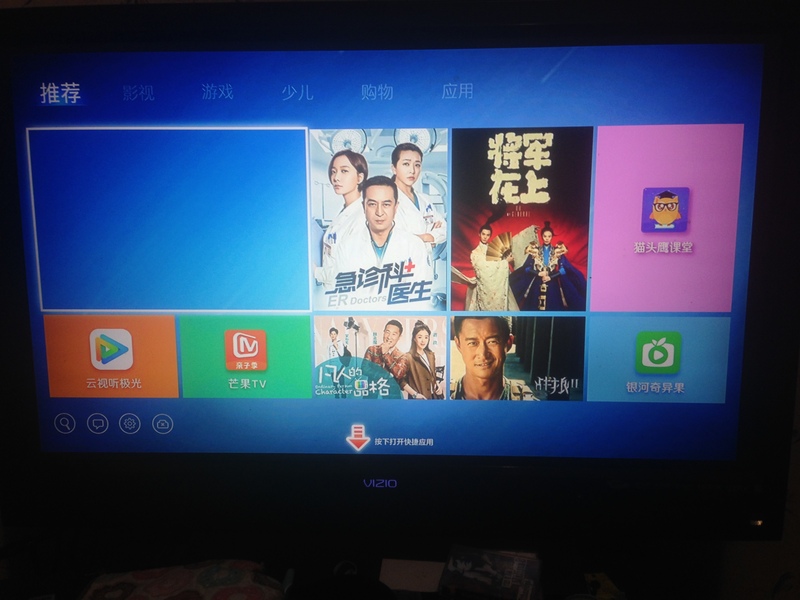 Even with the remote with it all being in Chinese I don't know what I'll be able to do with it. There's no real info about it in English which is weird. I'm assuming either a Chinese family imported it and/or someone bought a stream TV type box online and got sent that & found no use for it. If no one buys it you could get a remote. Must be a language option in settings unless it was solely for the Chinese market. Big Boss Man wrote: There's no real info about it in English which is weird. I'm assuming either a Chinese family imported it and/or someone bought a stream TV type box online and got sent that & found no use for it. If no one buys it you could get a remote. Must be a language option in settings unless it was solely for the Chinese market. In the town I bought it from there is a Chinese buffet and all the workers and owners are Chinese. It is fairly likely it could have belonged to them. It is a pretty small town and they are the only Chinese people I know of that live nearby. I doubt anybody is going to buy it though. It seems like a pretty specialized item to be looking for even if you are Chinese. I probably will end up buying a remote since it will be less than $3 for it and messing around with it and see what I can do. Hopefully it will have an english language option but I'm doubtful. As you said there is absolutely no information on it in English so it was probably sold in China only. Hopefully I can sell it though, it has to be worth something to somebody. I only paid $3.99 for it so if I end up getting stuck with it no big deal. Haven't been getting many views on the slot car track. I'm sure interest for such a thing will pick up around the holidays like you guys were saying. If it is solely a Chinese branded product with it only really for usage in China it might not have an English language option. But saying that if you can manage to get it going with a remote and google translate like settings in Chinese you might be able to open that menu and go from there. Yea I assume the Chinese folks in your area owned it and maybe have like cable/satellite now perhaps so didn't need the box. It also might be like a NowTV box we have here which are bundled for a couple of months passes to premium TV movie or sports channels. The "pass" might have run out so it might not be of any use that way. Another option and this might seem a bit OTT to do but go to the restaurant where they are and inquire about the box you have. They might be like "oh it's a ..." and might even take it of your hands if they have a use for it. I was watching some of the LGR thrift vids and he saw like German language tech in one store so it pops up in Goodwill stores. Picked me up another Canon Pixma printer that uses the super cheap ink earlier this week. I haven't seen one in a goodwill for awhile. This one is a Canon Pixma MX870. It is a really nice printer, cosmetically it looks like brand new. And it also works excellent too! Only need a black and a blue ink cartridge. The rest were full. Luckily is uses the same ink as the Canon MP620 which I have a bunch of ink for. I'm actually replacing the MP620 with this MX870. There was nothing wrong with the MP620 but the wireless on it was a pain to setup. It had to be connected to the PC via USB to setup the wireless mode. Then after that you could unplug the USB and use it wirelessly, except half the time it wouldn't show up on the network and you'd have to lug it back to the PC and plug it in. I finally got it to work and had it setup in the other room where I wanted it. The one day the wireless randomly quit working, so after that I had it sitting right next to the PC. The PC is in the living room next to the TV, so the printer sitting there on the floor didn't look great but it was the only way to use it. Those troubles are a thing of the past with the MX870. It is soooo much easier to setup, idk why the MP620 isn't the same. It is only about 1 year older than the MX870. All you need to do is go to the wireless setup right on the printer and connect it to your wireless network then install the latest drivers from the Canon website on your pc and boom you are good to go. When I bought the MX870 my plan was to sell it but since I like it much better than the MP620 I'll probably end up selling that one. That actually works out better since the MX870 is huge and weighs about 30 pounds. It would have been a nightmare to ship. So as of right now I've got 6 printers. 5 Canon Pixma printers. MX870,MP620,MG6120,iP4000,iP4200 and a Canon BJC-3000 which is still in the box. They are such good printers that whenever I see one for $10 or less I can't pass it up. The MX870 is the most expensive one I've bought at $15. The MP620 was $10 and the others were around $3-$5. They all work except for the MG6120 which is a shame because it is a really nice high quality printer. It is one that has an extra grey ink cartridge for high quality B&W prints. I was using it with my computer and it was working great when all of a sudden it starting printing blank pages. No matter if it was a color or B&W image the page would come out blank. I tried running all the maintenance things for it like cleaning and deep cleaning. That of course didn't help and I'm not surprised. Usually one ink cartridge will become blocked. It would be pretty rare for everyone to clog up at the same time. That is all for my long printer stories. The $2 remote I ordered from China arrived and works fine with the box. I hadn't really used Google Translate before and I was impressed at how good it was. Just point your phone camera at the screen and it immediately translates the text! I went through all the options and there was no language options at all, so it is Chinese only. Also it seems like something is wrong with the box. It looks like it was brand new never used though. It was still in the box and the AC adapter hadn't even had the twist tie taken off yet. After it is on for awhile it will randomly just crash and the screen will mess up. I was able to mess with it for a little bit last time before it crashed. 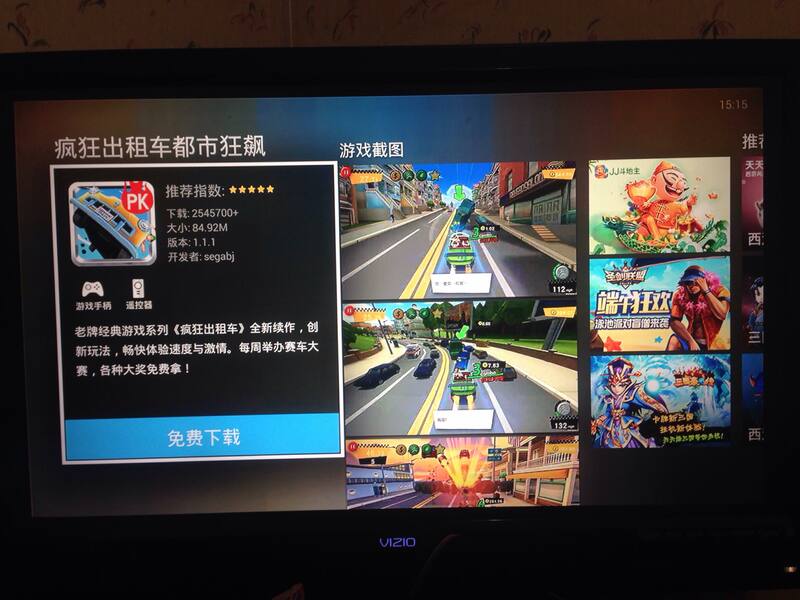 It has a games section and it had some kind of Chinese Crazy Taxi game to download for free. I was only able to get to the car selection screen before it crashed unfortunately so I never saw any gameplay. Here is a picture of it at the Crazy Taxi download screen. Under the game icon it shows a picture of the remote and a gamepad. So apparently there is also a gamepad available for this thing. I am curious as to what what kind of OS it runs on? Maybe it is a version of android. If so I wonder if there is any way to hack it and put emulators on it? I don't really have a need to do this, especially since it seems to randomly crash. I'm just curious what all can be done with this mysterious little box. Well I guess you now know why it ended up in a Goodwill. Either they got rid of it because they couldn't change it to English, or because it crashes all the time. Is there a restore option that you could factory reset it and see if that helps the crashing? I'd do like Mel suggests and do a factory restore on it. It could be just faulty out of the box though. Does the box get hot before it shuts down because it might be overheating. Is it also meant for a US power supply as you might be supplying too much power or underpowering the box. Have you opened it up to see if anything has come loose instead etc?. You might see the fault(s) that way. If it has a miniSD for storage you could put that into a PC and see what sort of files it has on there which might give an indication of what OS it's running. If it can play a Crazy Taxi port I would assume it's a gaming type box of some kind. Which in theory should easily be able to play emulated games. Not sure if you could sync up another Bluetooth type device to it to see if it works with a game. But if it's crashing you won't be able to do it. I'd definitely go back into settings and try and loosely translate everything you can. There might be sub menus too and I'd write everything down on paper. Might be time consuming but once your more familiar with one set of settings you might find there's a sub or multiple of sub menus to investigate. Let us know how you get on and hopefully you'll get it to work Cal.